AUTHENTIC Middle Eastern street food. 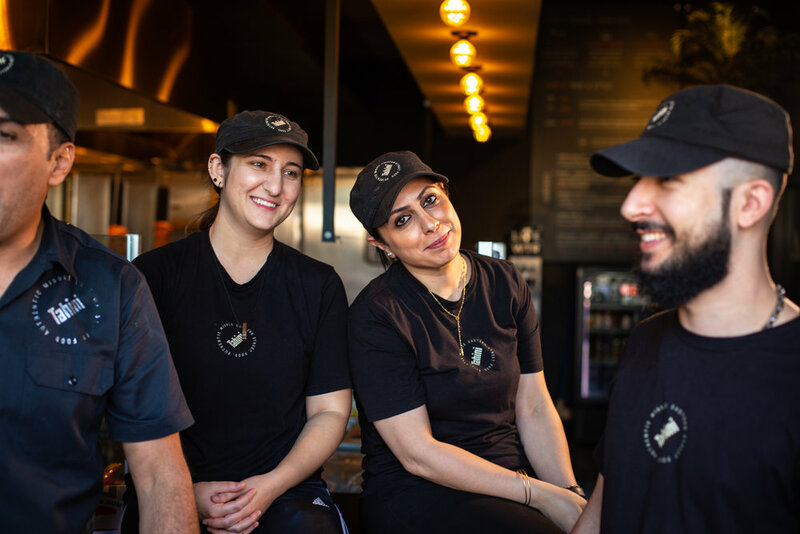 We’ve made a commitment to hire from our Middle Eastern refugee community, individuals who have mastered the art of Street Food with skills passed down to them over generations. We’re committed to paying everyone on our staff above minimum wage. Its the right thing to do. No explanation needed. We’ve made the choice to pay a higher price to use eco-friendly, biodegradable packaging for our food. When it comes to respecting the earth and the communities that make it up, no price is too high to pay. You are what you eat, and we’re committed to you being the best you. That’s why we focus on sourcing the highest quality ingredients. From our meats and rices to our veggies and produce, we make our food from scratch; and we’re sure you’ll taste the difference.